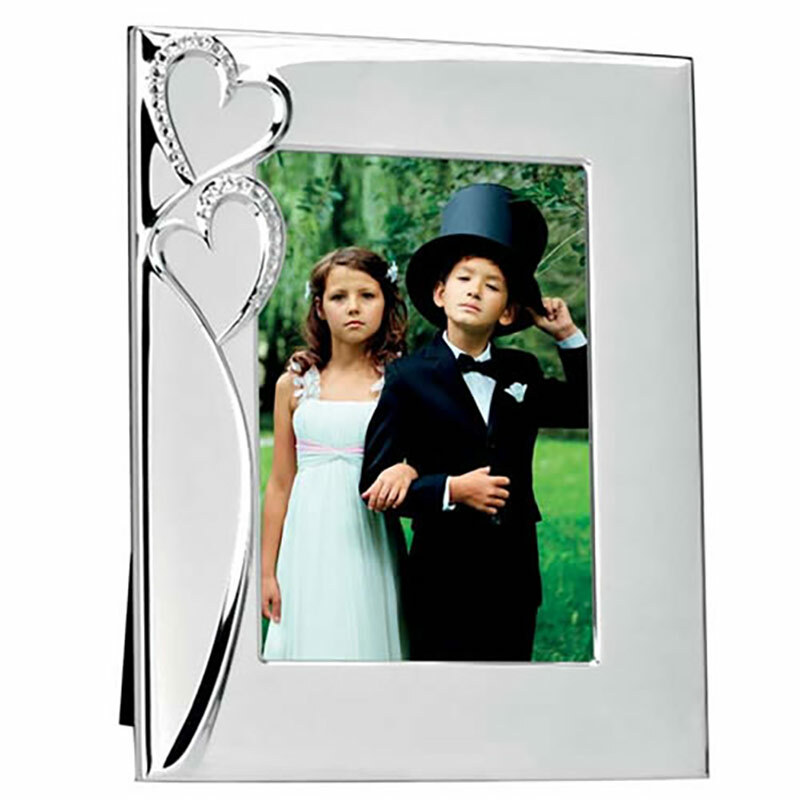 A beautiful photo frame with a quality silver plated finish and featuring two hearts and a stylish curve design on the left-hand border. The hearts are inset with crystal decoration. The frames are sized 5in x 7in in portrait orientation and include a strut at the back to allow them to stand on desks, shelves or mantels. They can be engraved on the frames to create personalised items or branded gifts, and are offered here with free text and logo engraving.